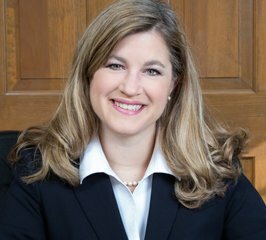 Cramer & Anderson Partner Jennifer Collins served as a judge Feb. 6 in a segment of the 2017-18 Middle School Mock Trial Competition held at Kingswood Oxford School in West Hartford, a private coeducational day school for students in grades 6 through 12. The competition, involving teams of middle school students from across the state, is coordinated by the organization Civics First. At Kingswood Oxford, Attorney Collins presided over a civil litigation matter in which there were three middle school student attorneys on each side, and six other middle school students participating as witnesses (three on each side) who were examined by the student attorneys. Parents and teachers attended the two-hour session, and participating teams received scores to determine possible advancement in the ongoing competition. There are 12 teams from eight schools in all, and eventually the final round will be held in a superior court. Students participating in the mock trial at Kingswood Oxford School in West Hartford. 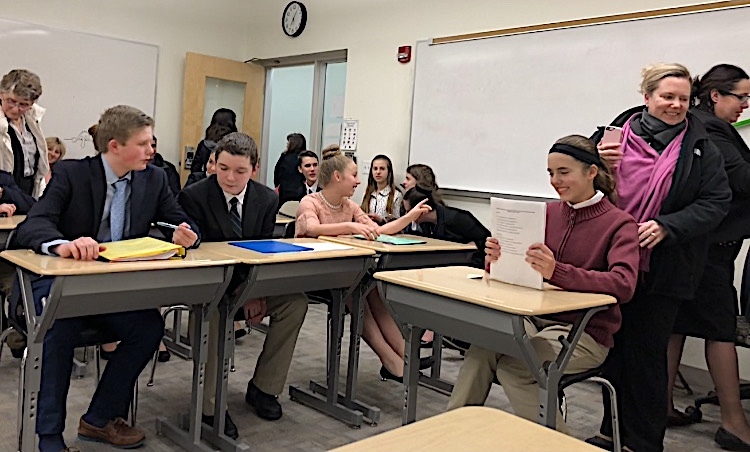 “Students learn trial law firsthand by participating in a hypothetical case (as jurists, witnesses, and more) and competing against other Mock Trial teams in the state,” Kingswood Oxford says of the enrichment initiative. Attorney Collins joined Cramer & Anderson as a Partner in October 2016 after guiding her own firm as Managing Member of Collins & Associates, LLC in the Greater Danbury Area. Her principal Practice Areas are Personal Injury, including motor vehicle accidents, Workers’ Compensation, and Social Security Disability. She is based in the firm’s Danbury office and may be reached at (203) 744-1234, or by email at jcollins@crameranderson.com. Cramer & Anderson also has offices in Ridgefield, New Milford, Litchfield, Kent, and Washington Depot. 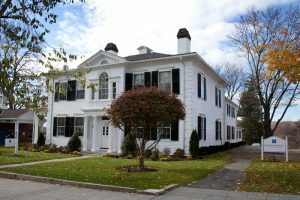 For more information, see the website at crameranderson.com or call the New Milford office at (860) 355-2631.